NEW PRICE! $200,000 under assessed value! RANCHER STYLE home! Walking distance to Poirier Rec Ctr (pool, gym & ice rinks), Library, Mundy Park, tennis courts, transit, shopping & all level of schools! 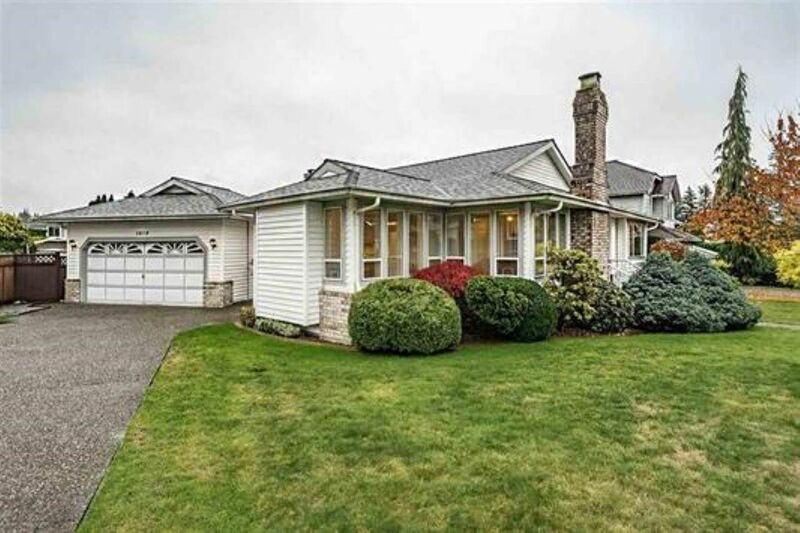 Original owner of this well maintained rancher style home with 3 large bedrms, 2 full bathrms on quiet street! Spacious master with double closets & 4 pce ensuite + 2 other good sized bedrooms! Large kitchen-tons of cupboard space, solid oak cupboards & open to the eating area. Formal dining & sunken living rm has gas fireplace. Huge family rm also with gas fireplace & sliders to the lovely flat fenced yard with beautiful gardens! Laundry rm has full sized w/d & sink & access to the large double garage! Long driveway can accommodate several vehicles. Roof 2010. OPEN HOUSE SAT & SUN, MAR 2 & 3, 2-4!